Think of energy metabolism like a party popper: Ripping something apart releases a bang. Most of your cells rip apart sugar to release the "bang" of energy. Sometimes they rip apart fats, and in a pinch, cells can even metabolize protein. Cancer cells do things a little differently. First, most cancer cells continue to depend on glucose, but switch over from "cellular respiration" (which requires oxygen), to "glycolysis" (which can happen with or without oxygen). A University of Colorado Cancer Center study published today in the journal Cancer Cell shows that cancer stem cells take a third approach: They stick with cellular respiration, but switch from metabolizing sugar to metabolizing protein, or more precisely amino acids, which are the building blocks of protein. Healthy cells don't need to metabolize protein. The current study shows that cancer stem cells do need to metabolize protein. And this difference is proving to be an Achilles' heel that allows researchers to target cancer stem cells without harming healthy cells – the approach has already proven effective in clinical trials against acute myeloid leukemia and holds promise for other cancers including breast, pancreatic, and liver. "In acute myeloid leukemia, we've gotten pretty good at killing the bulk of cancer cells, but a small population of cancer stem cells are uniquely equipped to resist these therapies, and these stem cells often survive to restart the condition later. We've needed a way to specifically target cancer stem cells, and it looks like this might be it," says Craig Jordan, PhD, investigator at University of Colorado Cancer Center, division chief of the Division of Hematology and the Nancy Carroll Allen Professor of Hematology at the University of Colorado School of Medicine. In fact, Jordan has spent more than 20 years laying the scientific groundwork for this attack against cancer stem cells, and now just in the past six months, with a flurry of important publications, the work from his team has led not only to increased understanding of these tenacious cells, but to treatments that may change the standard of care for acute myeloid leukemia and perhaps other cancers as well. In a recent clinical trial, patients with acute myeloid leukemia who were not candidates for bone marrow transplant were treated with the drug venetoclax, which blocks cells' ability to uptake amino acids. "Conventional chemotherapy is not effective for most patients with acute myeloid leukemia. The new results with venetoclax look very promising," Jordan says. Clinical trial results are also published today in the journal Nature Medicine, with first author Daniel Pollyea, MD. The current study circles back to pinpoint why the clinical trial was so successful. 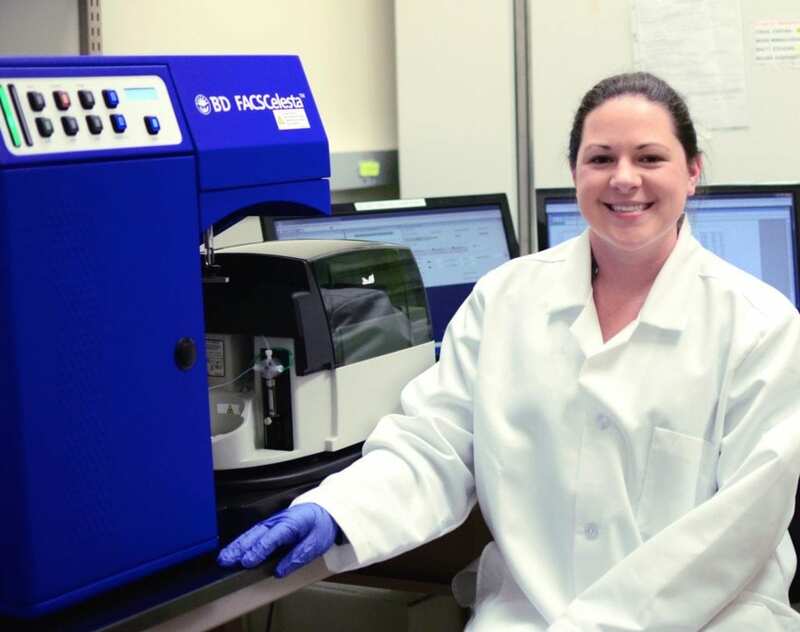 "Courtney's research represents a key step in understanding how to better eradicate leukemia stem cells. With her findings as a foundation, I believe we can now move forward to create even more effective therapies," Jordan says. "When patients were treated with other therapies first, leukemia stem cells were pushed to diversify and some adopted lipid metabolism," Jones says. The group's future work hopes to explore the possibility of inhibiting lipid metabolism along with amino acid metabolism for use with AML patients whose cancers have resisted or relapsed after previous therapies. "In this paper, we report an important piece of science that describes a vulnerability of these leukemia stem cells, and in the Nature Medicine paper we describe a treatment that successfully exploits this vulnerability," Jordan says. "We believe this type of therapy is just the beginning of what may become an entirely new way of treating leukemia. Now our challenge is to optimize this treatment in acute myeloid leukemia, while possibly expanding it for use in other settings where cancer stem cells continue to drive the development, growth and relapse of cancer."